There’s really no better place in the world to assess the visceral, gut-level impact of modern taillight design than right here, the foremost crucible of taillight reactions on the internet. 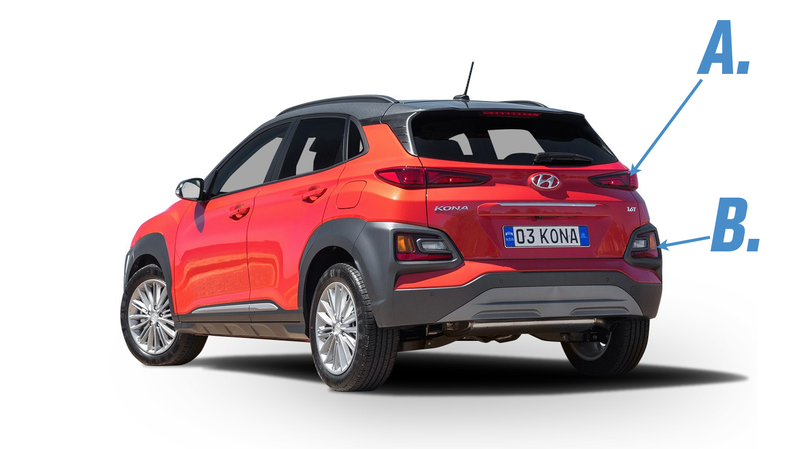 With that in mind, I’d like to pose a question to you: how do you feel about the design and layout of the new Hyundai Kona’s dual-location taillight setup? As you can guess, I’m asking because I have opinions. Powerful opinions. And I’m of the opinion that they confuse and frighten me. Well, that may be too much, but I can’t deny that in cars where the primary taillight functions (brake lamps, turn indicators, and tail lamps) are housed in very separate units, it’s somehow jarring and confusing. Reverse lamps are the exception to this, due to the nature of their use (generally low speed, and only activated from a stopped position) so they can be housed pretty much anywhere. But being behind a car like the Kona sort of makes me wonder which lamp cluster should I be focused on? They’re by no means the first to do this, and we can guess why: so you can drive, legally, with the tailgate open. The Kona at least uses amber rear indicators, so that takes out some of the guesswork. Even so, there’s still something a bit off about this: the separation, the low position of the indicators, I just don’t know. Am I making too much of this, or are there those of you who feel the same way? Tell me in the comments. Let’s talk this out. We’ll get through it—together.